There’s still a slight chill in the air, making it a perfect time of the year to enjoy a nice bowl of soup. But is there really a bad time to partake in good soup? It could be 100 degrees outside and I’d still crave ramen, pho, and chicken noodle soup. With that said, here are my 5 Favorite Soups in Little Rock. 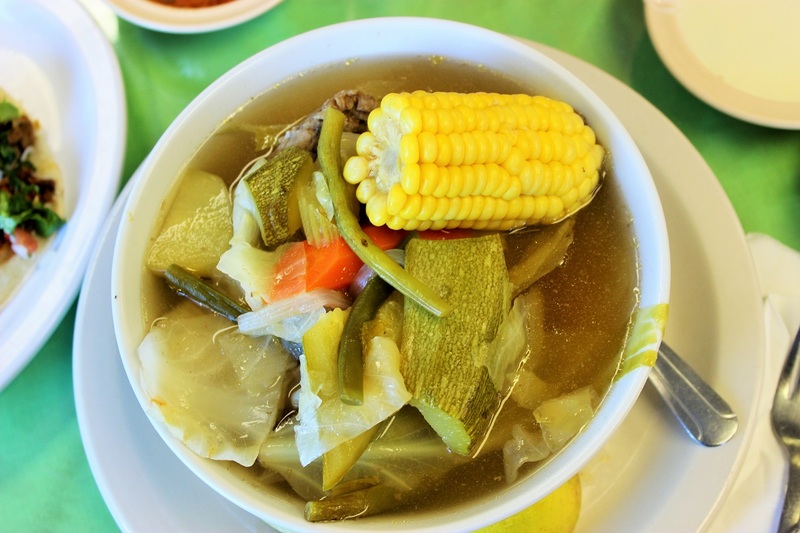 This soup is only available on Saturdays, so if you have a bad cold, make sure and plan it around the chicken soup at El Palenque. Only kidding, of course. Basically, the fine folks at El Palenque throw the entire kitchen sink of vegetables into a pot. Zucchini, green beans, cabbage, corn on the cob, potatoes, carrots, and of course, pieces of chicken, all make an appearance in this delicious bowl of soup. Chicken tortilla soup pops up on so many menus. 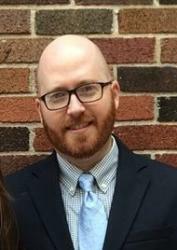 If you’re anything like me, you might be a little tired of seeing it. But the Smoked Chicken Tortilla Soup at Baja Grill is a different beast, and that’s because they actually smoke the chicken. This smoky flavor, combined with the crema, tortilla chips, cheese, avocado, cilantro, and lime, makes it a soup that really stands out from the pack. You can order it in either a cup or a bowl. Definitely get the bowl. Top-notch ramen inside a hospital? Yes, it does exist, at least on Monday, Wednesday, and Friday from 11 a.m.-2 p.m. at the Arkansas Heart Hospital. 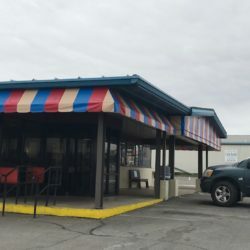 Walk through the front door and head towards Coby’s, the small cafeteria named after executive chef Coby Smith. 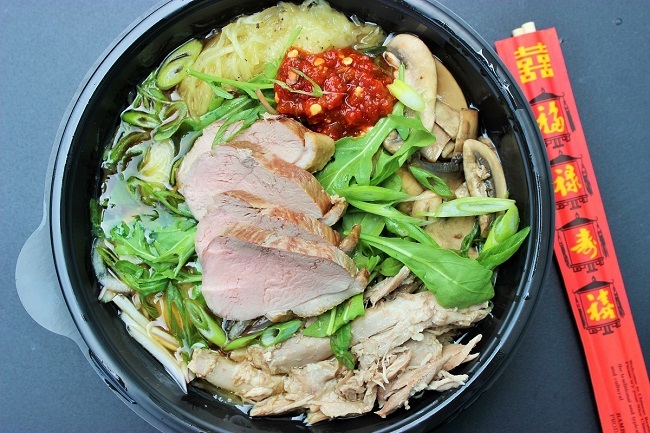 His bowls of ramen feature ingredients like pork belly, seared tuna, beef tenderloin, okra, marinated mushrooms, and pickled onions, all swimming in a pork bone-based broth. Be prepared for a long line, but no worries, things move rather fast and you’ll be sitting down with a bowl of ramen within 5-10 minutes. Mike’s Café, a very underrated restaurant near the UALR campus on Asher Drive, serves up a mean bowl of pho. 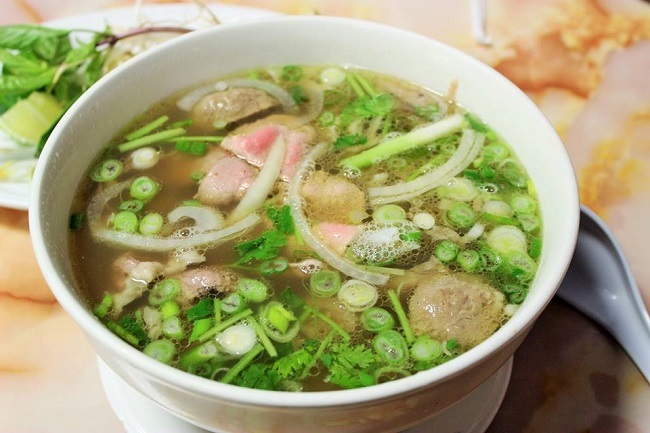 This Vietnamese cuisine classic is comprised of beef broth with noodles, cilantro, jalapenos, white onions, and green onions. Top it all off with thin, rare steak that immediately cooks to well-done once it hits the piping hot broth. 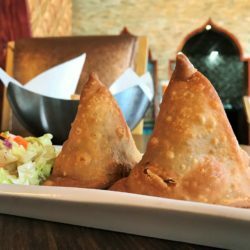 Make sure to get an order of spring rolls as an appetizer and maybe even one of Mike’s vermicelli bowls to split with a friend. 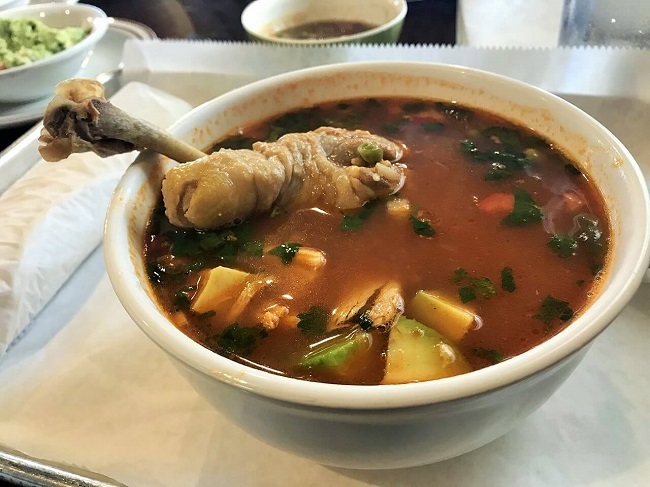 At El Alamo, get yourself a bowl of Sopa Azteca, a warm red broth soup with chunks of chicken and pork, cilantro, rice, and avocado. Oh, how I love avocado in soup. 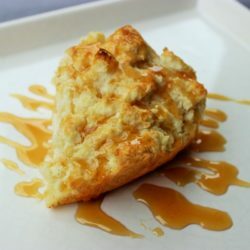 It adds such a richness and does wonders for the overall presentation. 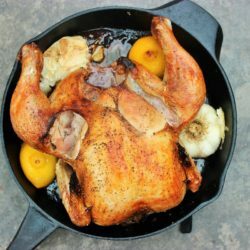 Speaking of presentation, the chicken leg resting over the side of the bowl is a nice move. 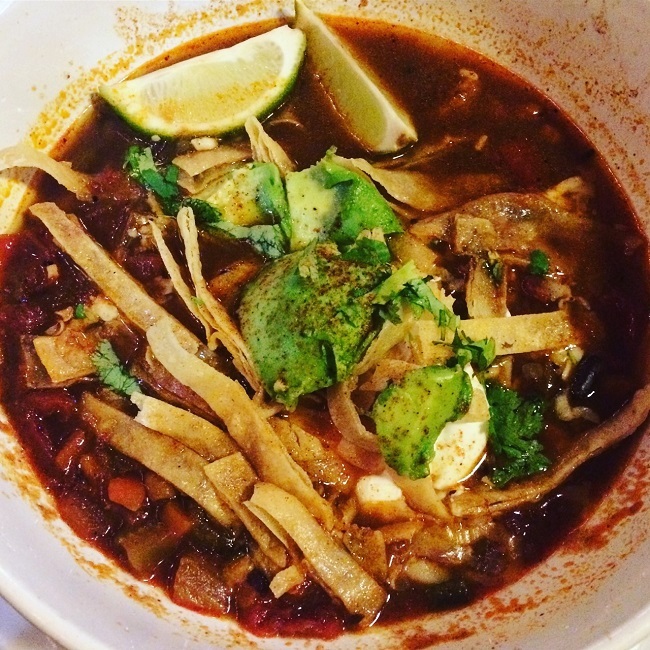 The Sopa Azteca is another soup I’d recommend if you’re battling a nasty cold.